Looking for a home filled with character and appeal, look no further than this quaint 3 bedrm 3 bath, 1600+/-sqft home. As you enter, you can see the care put into the maintaining the home with the wood floors that greet you in the entry, dining room and kitchen. The updated kitchen offers modern amenities yet maintains the original charm of the home. Overlooking the dining room and quaint den, the kitchen provides ample cabinet and counter space with an abundance of natural light from the windows. The living room, offers a spacious yet cozy feel with the slumpstone fireplace featured as a focal point. Guest bedrooms are warm and inviting. Guest bath has been tastefully updated. The master suite is roomy enough to create a comfy seating area surrounded by bookcases. Relax in the soaking tub with jets in the master en-suite. The long driveway allows for plenty of off street parking, including the potential of RV, boat or trailer parking with separate gated access. The manicured landscaping is a gardeners delight with shaded areas, raised herbal garden, rock garden, complimented with a gardening shed providing plenty of storage and opportunity. Donât miss the mudroom adjacent to the garage with a utility soaking sink, shelves for storage, laundry facilities and Â¾ bath. 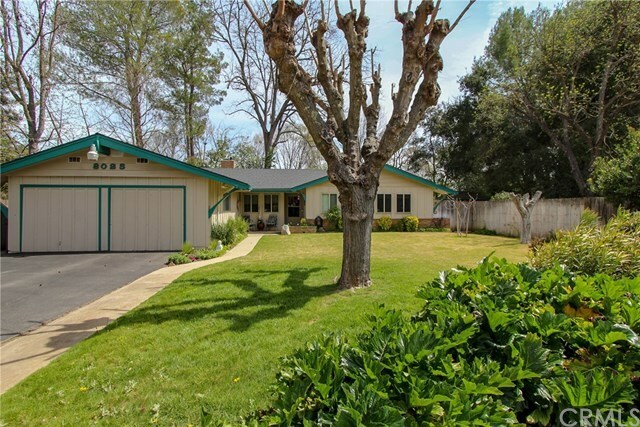 Situated near Atascadero landmarks that include the pedestrian friendly Atascadero Lake Park, Charles Paddock Zoo, this home offers convenient accessibility to Highway 41 leading you to access to the coast.